Lauren Clem jumps to make a save. The senior goalkeeper turned in a clean sheet in Northwestern’s 2-0 win over Minnesota on Thursday. Entering Thursday night, Northwestern had lost its previous two contests. Minnesota, ranked No. 23 in the nation, claimed a five-game winning streak. In a critical conference showdown, the odds were not in the Wildcats’ favor. But NU (7-6-2, 4-3-1 Big Ten) prevailed 2-0 over the visiting Golden Gophers (9-3-3, 5-2-1), snapping both streaks as a cohesive unit. After 20 minutes of scoreless action, NU’s hard work was rewarded. Off a corner kick, senior defender Kassidy Gorman delivered a curling cross into a crowd at the back post. Minnesota goalkeeper Kailee Sharp denied junior midfielder Hannah Davison’s header, but junior forward Brenna Lovera’s rebound lifted the Cats ahead 1-0. The Golden Gophers nearly tied the game in the 37th minute when forward April Bockin lost a one-on-one chance against senior goalkeeper Lauren Clem. NU doubled its lead with a goal in the 44th minute. Davison had a free kick from the Cats’ side of the pitch and noticed the Golden Gophers holding a high line. She chipped the ball over a crowd, and Chernesky connected from point-blank range. It’s no coincidence that both of the Cats’ goals came off set pieces, said Davison, who recorded two assists on the night. NU emerged from halftime with a defensive approach, absorbing waves of Minnesota attacks. The Golden Gophers outshot the Cats 9-2 after the break. 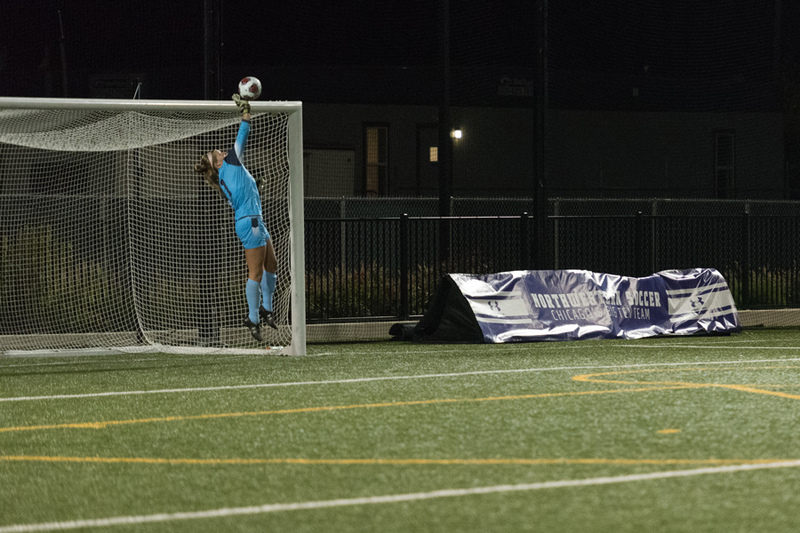 But Clem made seven saves on the night, recording the 43rd clean sheet of her career — a mark that vaulted her into the NCAA’s all-time top 10 in that category. NU jumped from seventh place in the Big Ten to tied for fifth, with its penultimate home game against Wisconsin looming Sunday. For now, coach Michael Moynihan’s goal is clear.